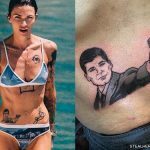 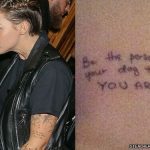 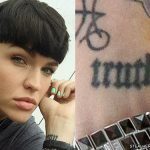 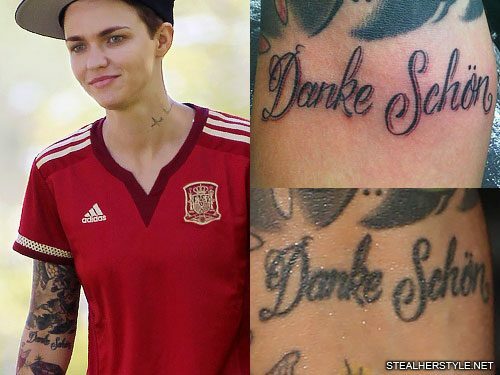 In April 2010, Ruby rose got a tattoo of the words “Danke Schön” which is German for “thank you very much.” It is on the inside of her right elbow, just below her half sleeve. 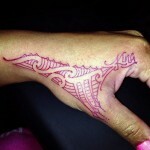 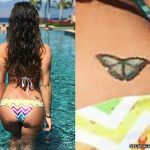 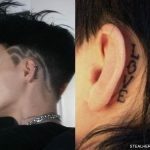 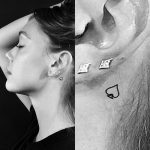 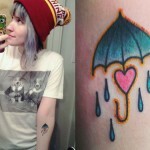 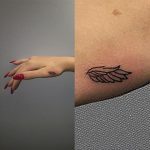 She shared a picture of the freshly-done tattoo, which was highlighted by red lines to give it dimension. 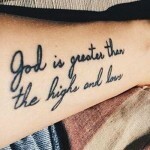 After years of wear the tattoo now appears all black and the lines are thicker.